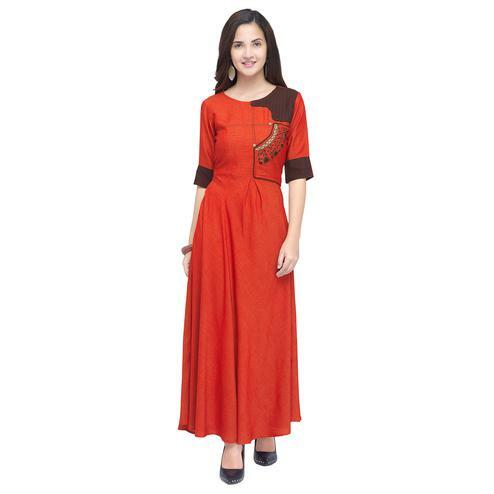 Update your ethnic closet with this latest trending kurti in shaded orange color. 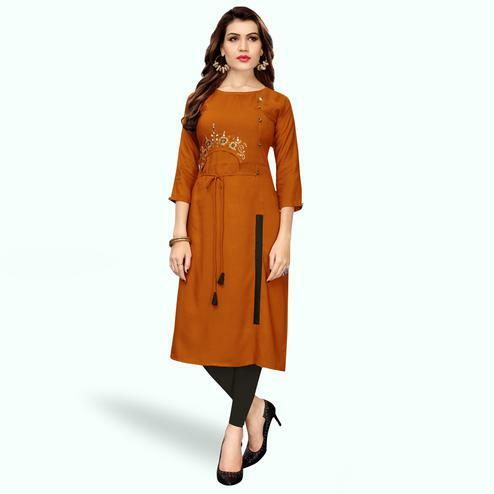 This ready to wear kurti made from cotton fabric has got round style neck, 3/4th size sleeves and also have floral printed work on entire dress. It's a perfect outfit to wear for parties, events and weekend get together. You can also team this kurti with jeans or leggings.